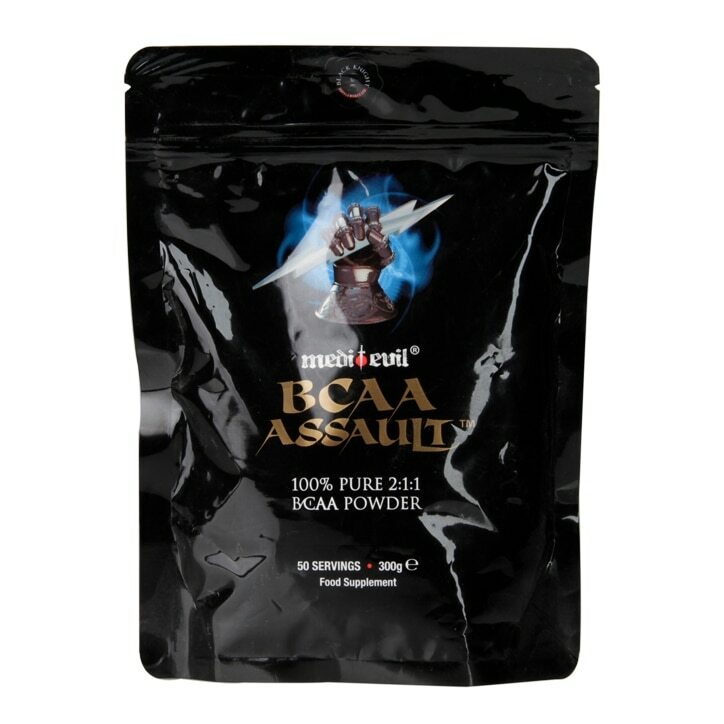 Medi-Evil BCAA Assault Unflavoured is rated 4.3 out of 5 by 3. Rated 3 out of 5 by Jimbo123456 from DOES NOT MIX this stuff tastes foul and WILL NOT MIX. In say I g this I haven't used it long enough to notice what it does. It floats on liquids and doesn't mix at all. Rated 5 out of 5 by Zed FR from Good Quality Product Hi, This tasted really bad ( bitter ) and it wouldn't mix!!... This is just one of the reasons i know this is a really good product! I will buy again for sure!! 10/10 PS Just in case you think im joking! No this is not a sarcastic review. Honestly this is good stuff!! Rated 5 out of 5 by 1norm2 from QUALITY STUFF Medi-Evil BCAA is the best quality amino acids used to date. Used various different types of BCAA in the past and they just don't compare. They were filled with lots of fillers and packing agents which is not beneficial for any athlete. Medi-Evil BCAA is different as it's 100% pure and at a good price too. What makes things even better is that Holland and Barrett have great deals on these products with huge savings. Have been using this stuff for about 2 months and I have made some serious good quality muscle gains. BCAA is best consumed with an equally good quality protein powder like Optimum Nutrition Gold Standard 100% Whey Powder. On gym days I mix 3g of BCAA with a scoop of Gold Standard 100% Whey, oatmeal and ice then consume prior to workout then the same again post workout using a Nutribullet blender. Would highly recommended this product. BRILLIANT! !